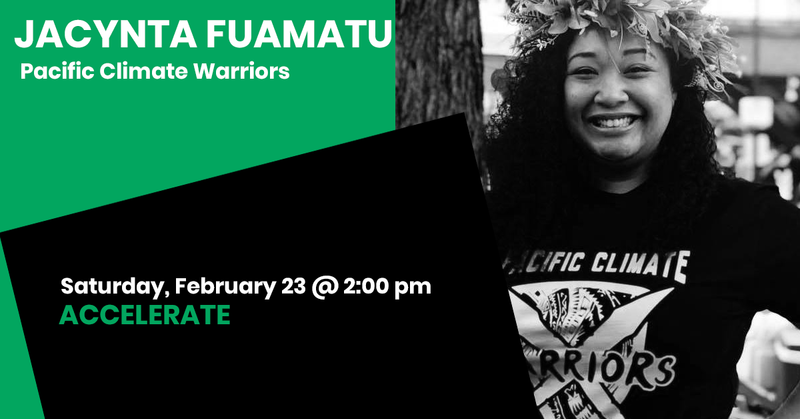 Jacynta is an Australian born Samoan woman who is the Melbourne Coordinator for 350 Australia, co-creator of Off2war, and Council of Elder member for the Pacific Climate Warriors. She was inspired by the Canoe vs Coal campaign in Newcastle 2014 and has since been an organiser in the climate change movement. Using her voice to elevate the stories from frontline communities impacted by climate change, and creates couture fashion using recycled material to highlight these impacts. She has shared her work around Australia, Papua New Guinea and most recently in Germany at COP23. Jacynta hopes to inspire young leaders to discover their craft and use it to fulfil our shared responsibility to our People, Land and ocean.